Philippine Wrestling Revolution (PWR) Presents Renaissance! Home / news / philippine wrestling revolution / pwr / pwr renaissance / Philippine Wrestling Revolution (PWR) Presents Renaissance! 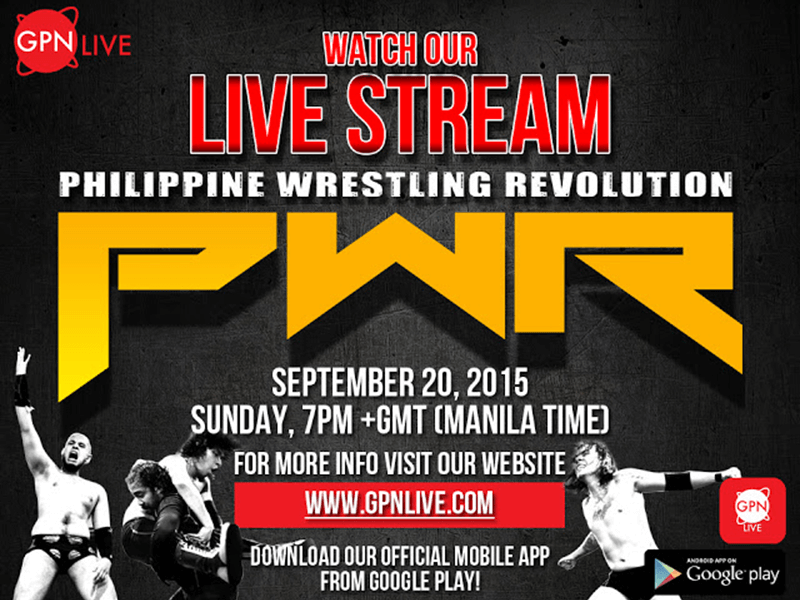 Last September 27, 2014, Philippine Wrestling Revolution (PWR) held their very first event that made their presence known in our country and brought professional wrestling back to the light. This concept was introduced in their last event entitled PWR Live. PWR will be featuring two bootcamp showcase matches, with one including Mark D. Manalo, PWR's resident Promdi. Go to the event early to get a chance to see the up and coming wrestlers of PWR and to witness the bootcamp challenge that Mark Manalo never had at PWR Live. This will be the biggest throwback to the first PWR Renaissance. 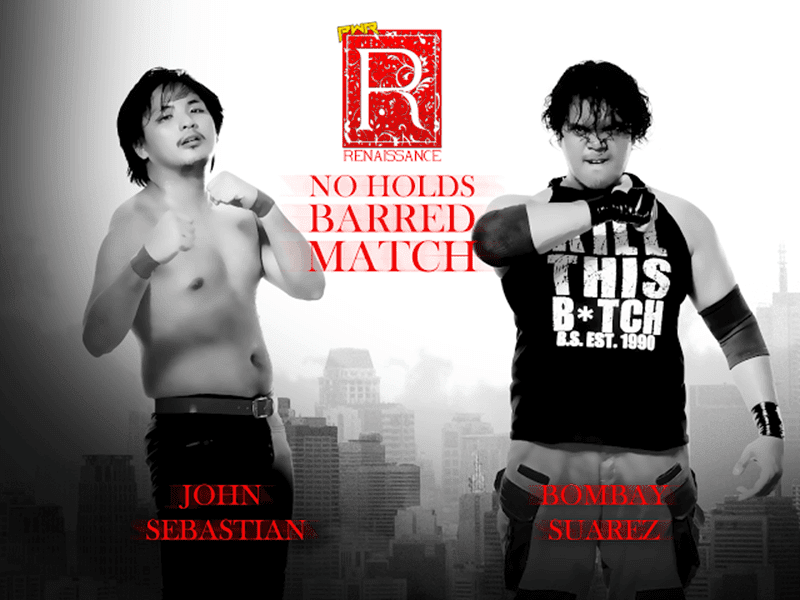 Philippine Wrestling Revolution resident b*tch-killer, Bombay Suarez will be facing off John Sebastian, the self proclaimed "Killler of b*tch-killers", in a No Holds Barred grudge match. 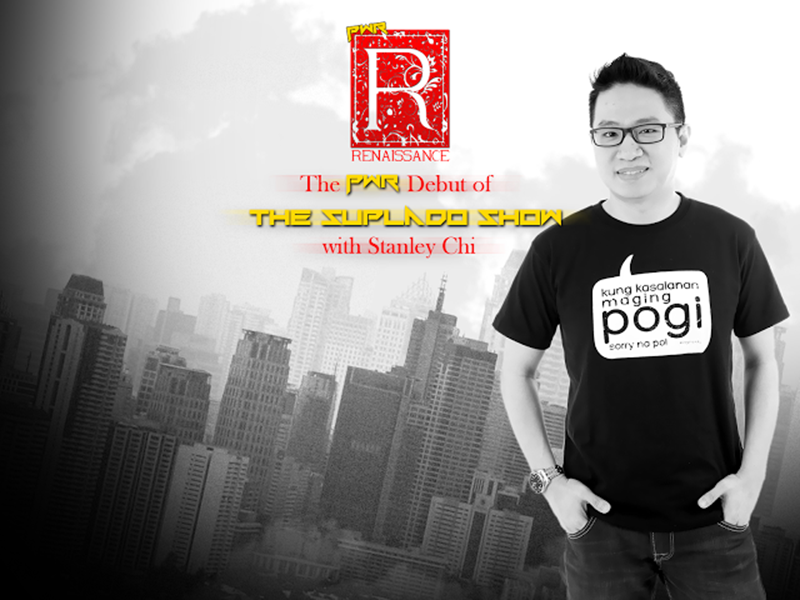 At PWR Renaissance, we will witness the debut of the Suplado Show which will feature the Mr. Suplado himself, Stanley Chi. Make sure we don't miss this event to find out who the Suplado Show's first ever guest will be. Wondering what kinds of hard-hitting questions Mr. Suplado will throw. Hmm. Ever since Philippine Hybrid X's debut, it has been a hot topic in the Philippine pro-wrestling scene. 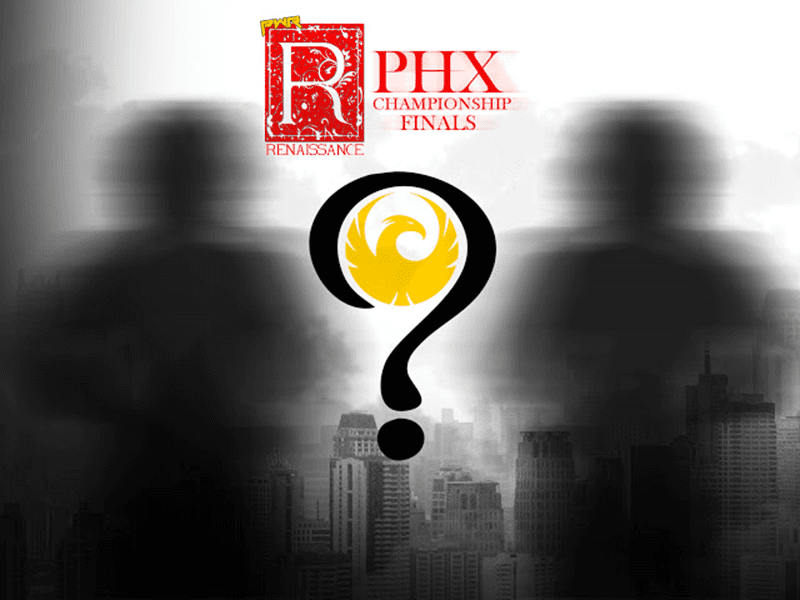 At PWR Live, the quarterfinals of the PHX tournament gave the PWR Revo-nation a huge dose of action-packed and high-paced style. At PWR Renaissance, we will be witnessing the continuation of the said tournament and the crowning of the division's first ever champion. 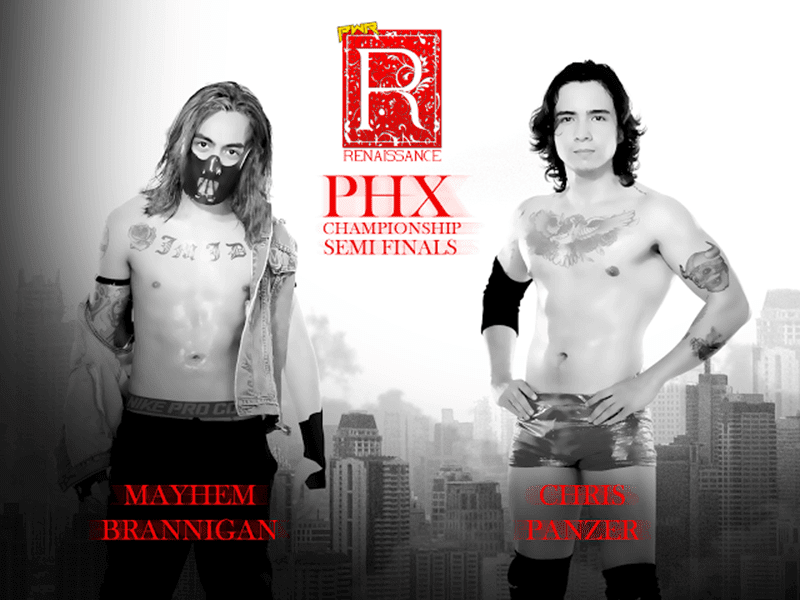 The first semi-final match will feature Chris Panzer, the leader of the Panzer Army versus his longtime friend, the always righteous, Mayhem Brannigan. This will surely be a hard match to predict. 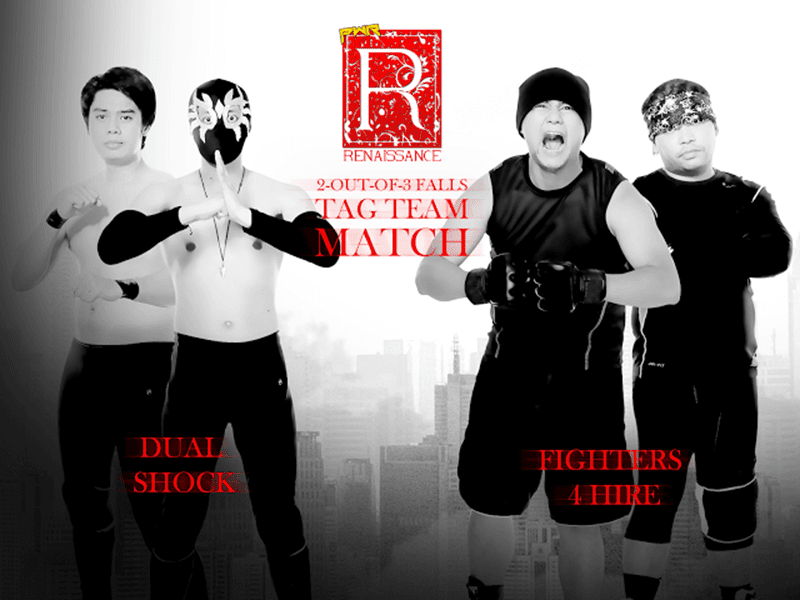 The second semi-final match will feature Ralph Imabayashi, going up against Ken Warren, the Social Media Sinister. After the winners of the semi-final matches are establish, they will face off against each other. This will determine the first ever PHX champion. The main event will feature PWR's first ever 3-way match for the championship. It will feature reigning champion, "Classical" Bryan Leo, The Apocalypse and "The Senyorito" Jake De Leon". Back in PWR Live, Bryan Leo was able to successfully defend the PWR Championship against a very game Jake De Leon but the first-worlder was not satisfied with only retaining his championship. Along with his Royal Flush cohorts, Bryan Leo looked to take out the man from Hacienda De Leon indefinitely by destroying his leg and by ultimately trying to break his neck. Just as the Royal Flush were about to finish the job and finish off Jake De Leon, the Apocalypse suddenly entered the ring and proceeded to take out the Royal Flush with a crowbar to John Sebastian and a Death Bell to Bryan Leo. Just as the crowd thought the Apocalypse had saved De Leon, he picked up the Senyorito and dropped him just as easily with a Death Bell. After seeing the devastation he caused, the Apocalypse picked up the PWR Championship and held it above his head to express his desire to lay claim over PWR’s top prize. At PWR Renaissance, will we see “The Senyorito” Jake De Leon rise above to finally reclaim the PWR championship he held for a few fleeting moments? Will we see “Classical” Bryan Leo survive the odds to retain the PWR Championship and continue his first world reign? Or will we see the Apocalypse bring down the same scene of devastation and destruction he brought at PWR Live and usher in the Age of The Apocalypse? PWR Renaissance is happening on September 26, 2015 at Makati Cinema Square. Tickets at the event are for 300 pesos only, but, until September 25, Pre-sale tickets for PWR Renaissance will be available for ONLY 250 pesos at Rumpus Room and The Appraisery both located at Cubao Expo, Quezon City. Get your tickets now and we’ll see you at PWR Renaissance, Revo-nation! PWR will be live this September 26 2015 at the Makati Cinema Square. The tickets will be on pre-sale for 250 pesos at the Rumpus Room and The Appraisery locatel at Cubao Expo Quezon City.